Sorting different modes of transportation onto the correct area helps students refine classification skills. We drive around following the directions to the Greg and Steve song, Riding in My Car. Once the song is over I ask the students to park their cars and walk on back to take a spot on their dot. I use the song as a fun way to help the students get into the groove of thinking about transportation and how we use it to get from place to place. During the reading of this book I jump around the text a lot. In fact there maybe some pages where I do not even read the entire page of text at all. This is because the book would be too long and I would lose my audience’s attention. I tend more to focus on the discussion we have about each page. The book is divided up nicely into sections devoted to the type of transportation it is. 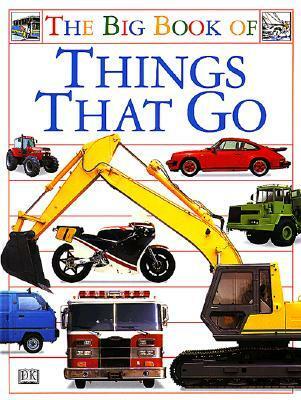 For example, things you would find on land, on sea, in the air, emergency vehicles, construction vehicles, etc. This makes it a good book for the activity we are about to do. I allow each student who wants to respond to get a turn. I repeat this process for water and air. I select enough students to respond to cover all of the resources we could use. “Table number one go have some transport sorting fun. Once the students are seated I tell them that their exit slip for today is to tell me where I would find/use a particular type of transportation. I use the fair sticks to select the order in which the students get to go. They can pass and wait until everyone is gone and we will work on figuring it out together. Using this very quick and easy exit ticket method everyday gets the students into a routine and they know what to expect as a continuation of their learning. The exit ticket gives me a quick glimpse of how a student is doing when they either fluently give me a response or if they struggle I know I may need to do each support work with that particular student. The exit ticket also supports the lesson we have just completed and ties it up before moving on with the rest of our day. I use the Transportation Sort Checklist to go over the student’s work and once it is complete I will place the student’s work in his/her collection portfolio. Looking at the student’s work with the checklist helps me to stay focused on the point that I am looking to see if a student can sort the vehicles onto their correct location – land, sea, or air. I check to see if the student attempted to label them and what kind of resource or skills they used to write the labels. I also make comment on how neat and tidy the work is. The students play transportation BINGO. They can play it using the pictures or the words based on their reading ability. This station is set up to increase student vocabulary as they work on seeing if they have a specific type of vehicle or not on their BINGO board. At another station student work on drawing and labeling vehicles which either travel on land, water, or in the air. In the last box the student draws their favorite way to travel. Sample from high performing student front. Sample from high performing student back. Sample from middle performing student front. Sample from middle performing student back. Sample from middle performing student front 2. Sample from middle performing student back 2. Sample from lower performing student. Close view of lower performing student labels. Sample from high performing student front. Sample from high performing student back. Sample from middle performing student front. Sample from middle performing student back. Sample from middle performing student front 2. Sample from middle performing student back 2. Sample from lower performing student. Close view of lower performing student labels.